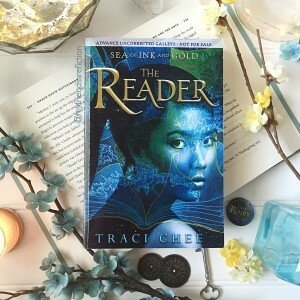 With a book called The Reader I was immediately sold on reading it (yep on the title alone) and luckily this book was an amazing read with multiple layers of story-telling. This is going to be a tough review to write because this book was not cut and dry. It had layers upon layers and really the best way to experience it would be to dive in. Sefia was one determined main character. I loved her voice and her intense desire to find out why her father was killed. Her aunt was taken from her as well so she was a non stop machine working to get them back. Even with her goal she was still capable of learning, growing and showing immense compassion (more so as the story progressed). Really, she was such an incredible character and her growth throughout the book was beautifully executed. Don’t go into this one expecting a quick or easy read. This was a book to take your time reading and really think about. You can thank those story-telling layers for that- we flip flop between Sefia’s story and what she’s reading in this mysterious book in her possession. This mysterious book introduced us to a band of pirates and oh, how I love their story. I think each of these characters was so well done and I couldn’t get enough of their story. I love the dynamic of the ship Chee created and the way she presented all their roles. As for romance, this novel was not heavy with it but their was a couple I shipped and I can see them getting closer and closer as the series progresses. Really, there are a lot of characters and things going on with this book but I think that it was handled exceptionally well and readers that appreciate complex stories will love this one. I mean, it does have pirates, a very strong female lead, assassins and a very in depth world. 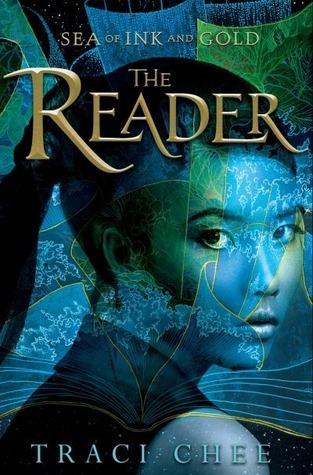 Final Thoughts: The Reader is so hard to review because of how layered the storyline was. 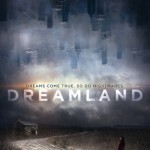 I loved the complexity of the world and the plethora of well developed and intriguing characters. I highly recommend this book to fantasy fans that don’t mind a slower paced novel with layers of story interwoven into a common story thread. I am so excited for this to come out. I’ve been seeing it everywhere and was already pretty excited for it, but your review explained it and what to expect really well, and I am now even more impatient for its release! The concept of a world that doesn’t have any books is so terrifying yet also so intriguing and I can’t wait to see how Chee handles that storyline. Great review! I can’t wait to read this one! Your review has made me even more excited! Thanks for the insight to the complexity of the story line. I’m really looking forward to it. I’m so glad you liked this one! The layers in it was so amazing – honestly. that was one of the things I loved most about the book. ALSO I ADORED THE ROMANCE it was light and both characters were so resilient. :’) PLUS PIRATES! Ooh, I’ve been wondering about this one. Must look out for it! I have to admit I’ve never been a fan of books where the characters can’t/don’t read. It seems like a bit too much dissonance a lot of the time. BUT this is also one of those books where the more I hear about it, the more intrigued I am. I snagged an ARC from work and I’m hoping to read it soon (although that could be a while since other things keep popping up!). I’m even more interested to check this one out after seeing you mention hidden clues in the book. I’ll have to keep my eyes peeled!